Waterman Elegance nibs are supplied as a complete front end, as imaged above, and customers can choose from an option of extra fine, fine, medium or broad nib grades. 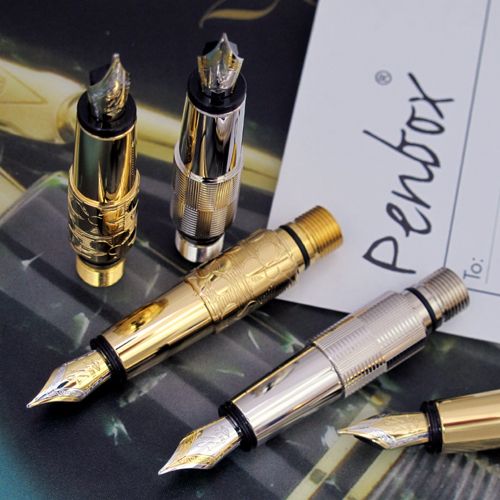 The 18k gold two tone nibs are housed in silver or gold plated sections dependent on the finish of the fountain pen, with rhodium highlights, and decorative engraving. We also sell the fountain pens in the pen shop and online.